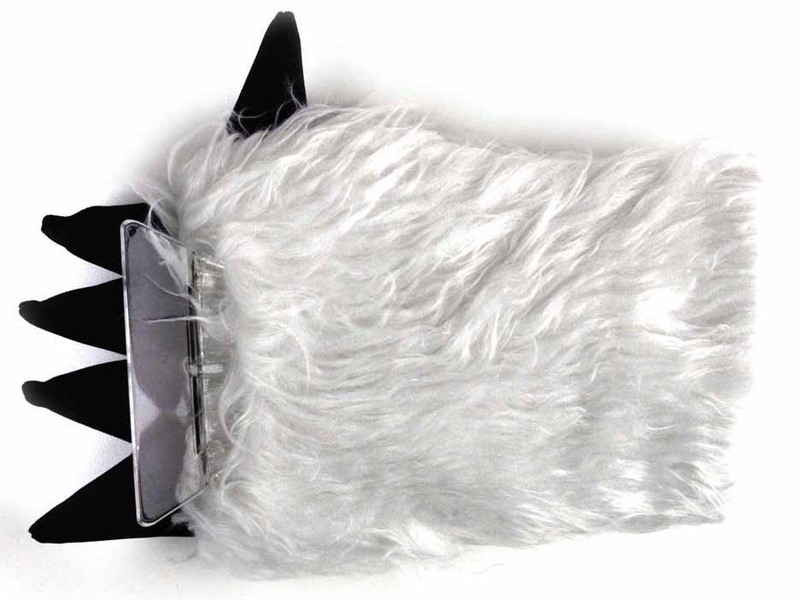 Break the ice with this funny gadget! 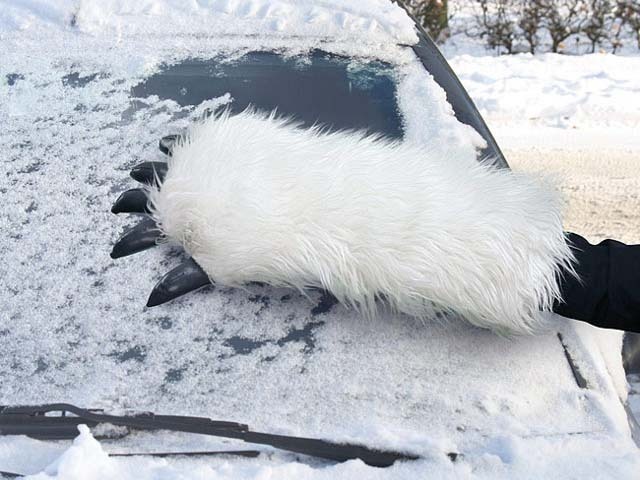 What's more fitting for combatting a frozen windscreen than a fluffy yeti claw? 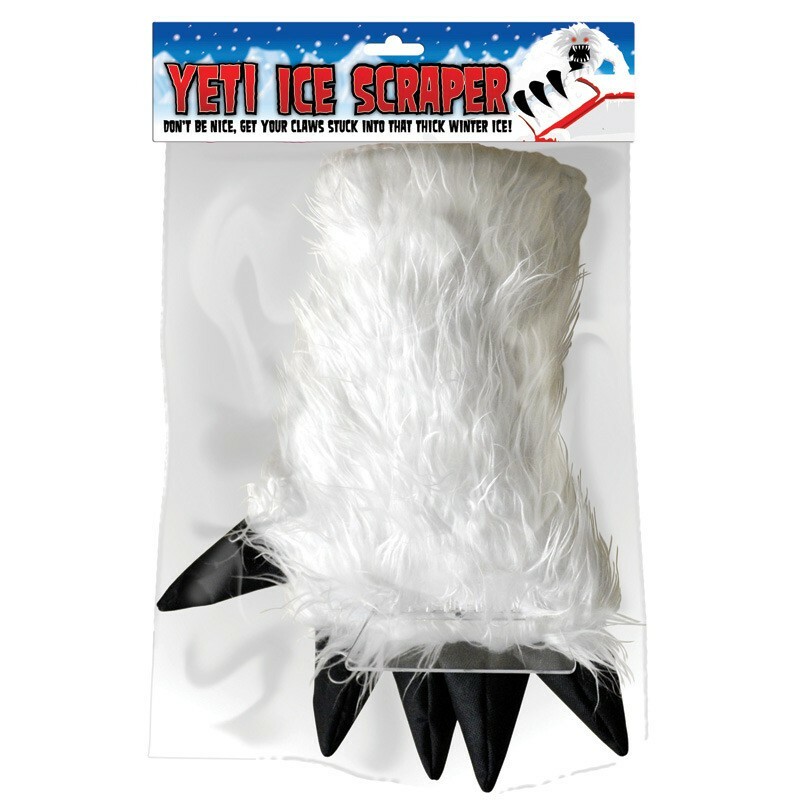 The soft fur will keep your hand warm while the ice scraper makes the frozen windscreen transparent again. This useful gadget will scrape at such speeds that you might even have some time left to scare the neighbourhood children. Is it a polar bear? Is it a woolly neighbour? No, it's the abominable snowman!"Rrrooaaarrr!!"